We are currently hiring for several positions on the farm for the 2019 season. If you would like to apply please read position descriptions below and send us a resume, a letter of interest and 2 work related references. Please identify which position(s) you are interested in. We will schedule a farm tour and interview with qualified applicants. Experienced Field Crew Team position descriptions. 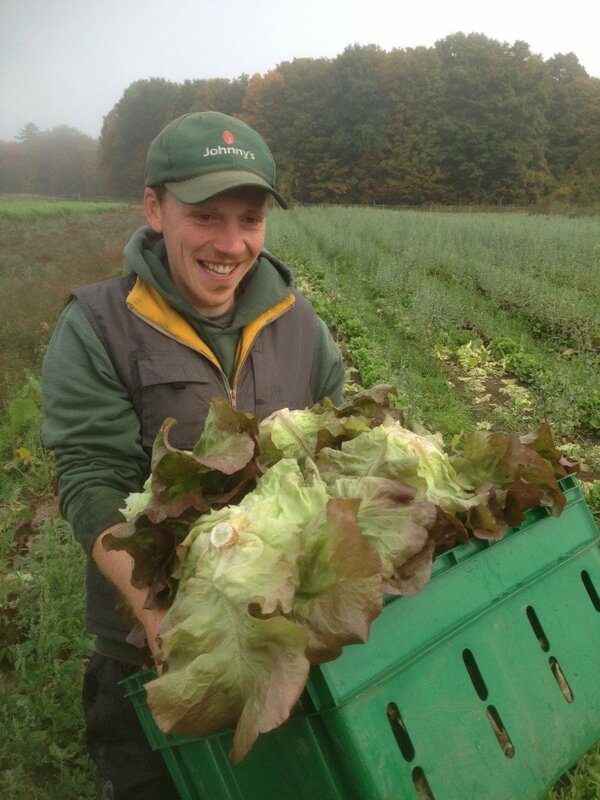 Crimson & Clover Farm is a diverse mixed vegetable farm based at the Northampton Community Farm in Florence, MA. In 2019 we will produce vegetables on about 20 acres for 475 CSA members and one weekly farmers markets. In addition to these 25 acres we will also be managing and improving an additional 35 acres that we are leasing. 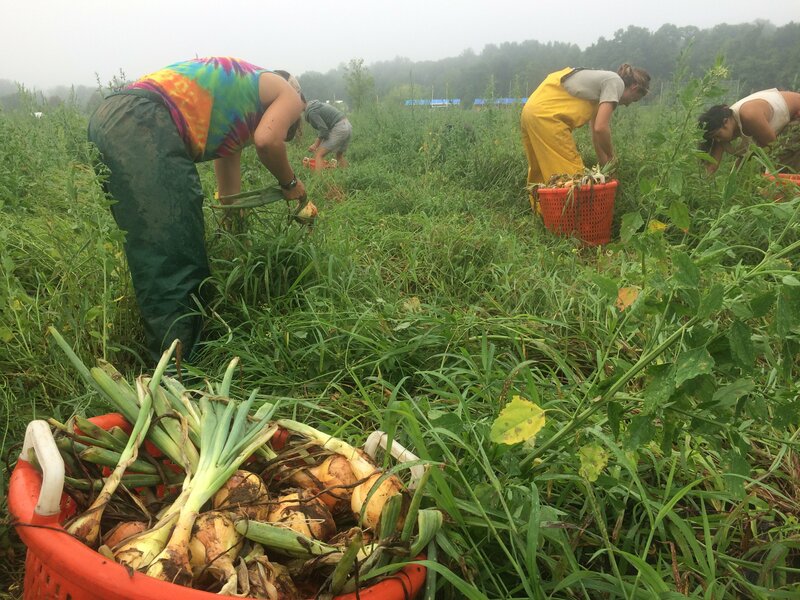 Our goal is to continue creating a bountiful, fun, and creative community based farm. We want our workers, our customers, and the community as a whole to see this farm as a place where they can come to share in the beauty and the good work of farming. 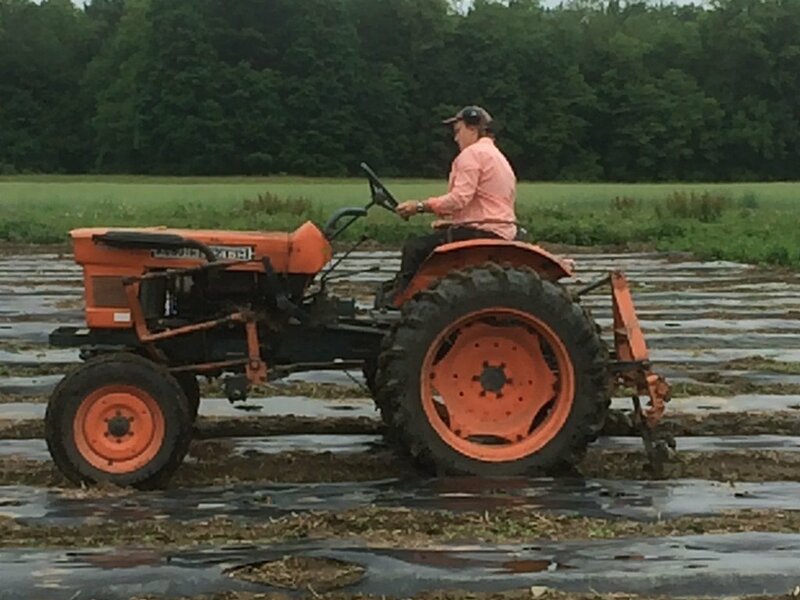 At Crimson & Clover Farm we offer a collaborative work environment that encourages input from employees in making our farm more productive, efficient, and fun. 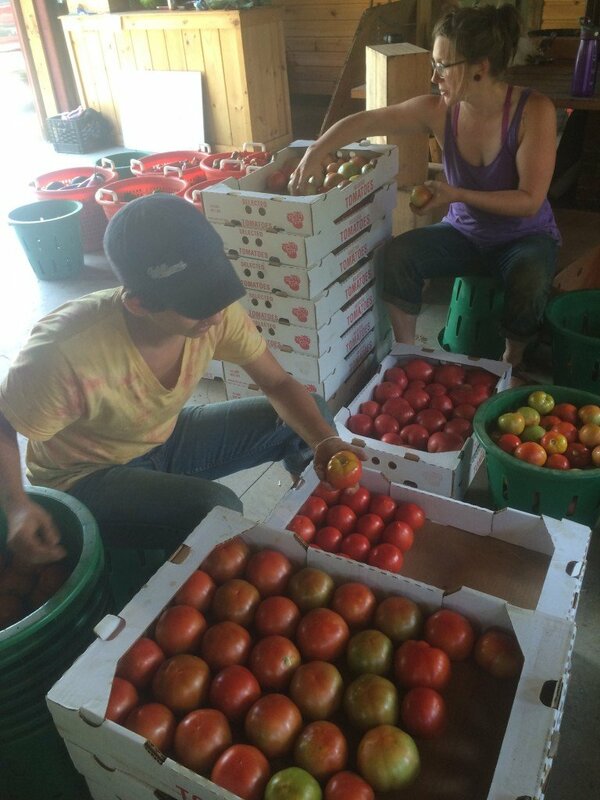 While this is not an apprenticeship or teaching position there is a lot of learning that happens on a daily basis and we are very open to sharing all of our knowledge of running a business and growing vegetables. We are seeking 2 full time field crew members and 2 full time farm store coordinators for next season to go along with 3 returning crew members from 2018. The field crew, along with the managers, will be responsible for executing all of the work of the farm. These tasks include harvest, wash-up, planting, weeding, CSA distribution, managing farmers markets, and some tractor work. The whole farm team works together to ensure that all of the core work of the farm is accomplished. In addition to the general team-oriented work each field crew member is given a dedicated realm of responsibility (see the specific position descriptions below). These offer the opportunity to take on real responsibility and ownership to some of the key elements of the farm. For all of these positions we are looking for people who are positive, hard and fast workers. People who easily take on responsibilities and can work productively both in groups and individually. The ideal candidate has at least 1 full season of farming experience, or the equivalent. We offer a 5 day work-week; crew members are expected to work 40 hours/week during the main season and to be flexible at times when additional hours are needed. We strive to maintain a sane and balanced work schedule but there are times that we work a little later than usual or start a little earlier to get through certain projects. While these are seasonal positions we do have regular part time fall and winter work and will give priority to applicants who have interest in working through December and returning for a second season. The available positions begin in May and runs through October 31st 2019. This is an hourly paid position. We start all employees at $12/hour. 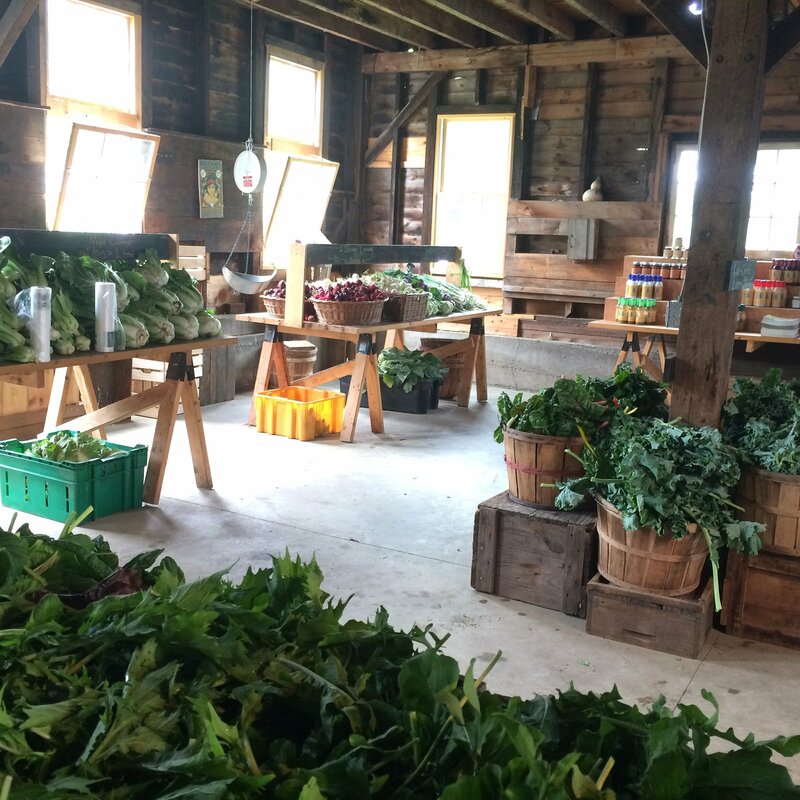 All of our employees also get lots of vegetables from the farm and discount from the farm store. Unfortunately, we are unable to provide housing at this time. There are lots of rental opportunities in the area. If you are interested in any of these positions please send us a resume, a letter describing why you would like to work at Crimson & Clover Farm, and 2 references. Applicants should list any specific realms they might be interested in applying for. We will arrange interviews with qualified applicants. These positions will be open until filled. These positions involves coordinating the farm store, CSA distributions, and farm beautifcation. It is essential that this be a person who loves food, cooking, talking to customers, and presenting vegetables in a beautiful display. This is very much a ‘foodie’ and ‘people person’ position! Also, must be able to lift 50 pounds regularly. All of our positions offer a 5 day work week. This position runs Tuesday through Saturday and involves evenings. It is important for this to be a person who can manage others in the tasks of harvesting and packing vegetables. This person must be a skilled, fast, and hard worker who can easily take on responsibility. – Coordinate with the Assistant Manager/field crew manager about the harvest needs for the market to maximize sales. This is a great position for someone who LOVES customer service and presenting vegetables in a bountiful and beautiful display. Our market is fast paced and requires the ability to think on your feet while still presenting a fun and positive attitude to our market customers. In addition to assisting with harvest, planting, weeding and field related tasks…. All of our positions offer a 5 day work week. This position has the flexibility to be Monday through Friday OR Tuesday through Saturday.